451 Pipsi Point Road, Corolla, NC, 27927 - Photos, Videos & More! Welcome to Coastal Living as it was meant to be! Carefully and thoughtfully re-designed, enlarged and remodeled in 2008, Carolina By The Sea is a stunning 9 bedroom (all generously sized with ensuite baths) Oceanfront paradise in prestigious Pine Island. The soft and clean color palette and stunning décor, create the perfect seaside back drop. Tucked away at the end of a winding drive, in a cul-de-sac, this hidden treasure enjoys 100’ of ocean frontage and uncrowded beach. Nothing has been overlooked in this home and there are plenty of spaces to spread out – whether it be in one of TWO game rooms featuring pool AND shuffleboard along with a wet bar and entertainment area, the ships watch reading nook, the great room or the sun room – and the home accommodates all with an elevator servicing all levels and a true handicap accessible master bedroom on the ground level. Wonderful meals will be cooked in the gourmet kitchen and enjoyed around the large family table. Lounge by your large pool or take a nighttime dip in the hot tub under the stars while you listen to the sound of the waves. In the morning, watch the sunrise perched high atop your dune deck with built in benches. Protected behind a beautiful, stable dune this home is turnkey! Don’t miss this opportunity! Be sure to check out the 360 degree house tour. Just change these settings to update the prices across the entire website. If you need help figuring out your numbers our Home Loan Provider is more than happy to help explain things. Call 252-202-3162 and ask for Leif Rasmussen. We are a new company on the beach, but bring over 20 years of experience and knowledge to you. Specializing in first time home buyers, second homes, investment and vacation properties we can find the perfect Outer Banks home to fit your needs . From Corolla to Hatteras, we will patiently guide you each step of the way from the first showing, through the closing and every step in between. BRING OFFERS!!!! 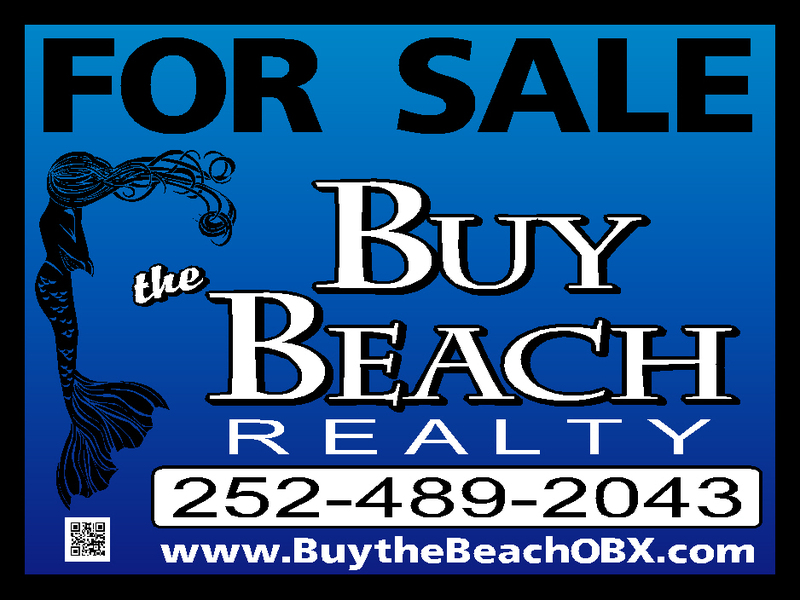 2.4 ACRES & LIVE AT THE BEACH!!! NOW ASKING $234,500.
" Local knowledge: 5/5 Process expertise: 5/5	Responsiveness:	5/5	Negotiation skills: 5/5	My husband and I had the pleasure of working with Kelly Dean this summer. Our initial plans were to locate an area that we wanted to look for houses in to retire in a few years. Kelly is warm, friendly, extremely knowledgeable and always puts your interests first. We saw a house on line the day before we were leaving the OBX after our vacation and contacted Kelly to see if she could show it to us. She immediately responded and said to come on up and she would take us over there even though she was scheduled to go out of town. We were so appreciative of her making time for us. That was certainly going above and beyond. As it turns out , this house was perfect for us and we put an offer in an hour later. By 5 pm we were under contract and as of last Thursday- this beautiful home is officially ours. We could not have done this without all of her help and support. It is challenging to do a closing when you live 1400 miles from the new home . Kelly was there every step of the way, always responding to our questions or concerns immediately no matter what time of day. It was such an amazing experience- and because of Kelly we now own our dream retirement home. She is the best real estate agent you could ever have."